REGINA, SASKATCHEWAN – Canadian Western Agribition (CWA) was the first event to be hosted in the new International Trade Centre November 20 – 25, and organizers are calling it a success, including the setting of several new records. Total livestock sales were the best they’ve been since 1997 and the second highest in CWA history, at $3.5 million. 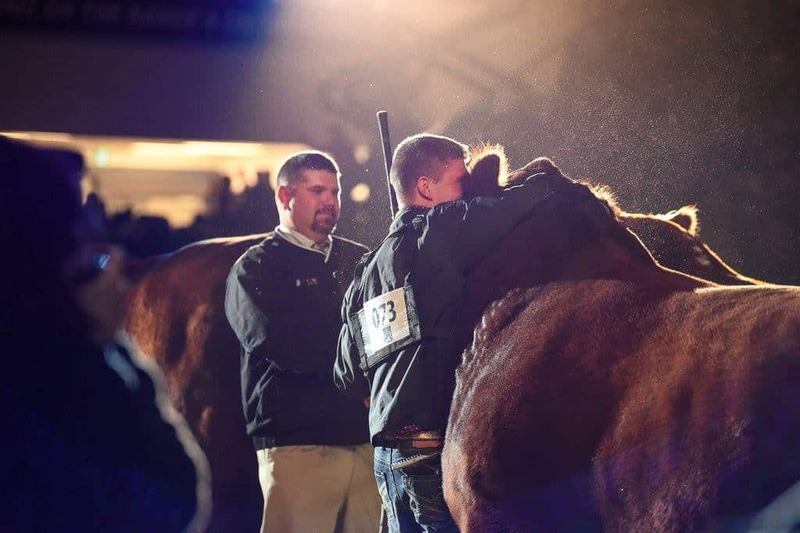 Purebred cattle sales were at $2 million, a new record high. Total show attendance increased by 2.7% over 2016, with 126,500 visitors at the 2017 show. Attendance at the evening entertainment events reached a new record, with over 27,000 attendees taking in the Equine Extravaganza, Full Contact Jousting, and Agribition Pro Rodeo combined. “We couldn’t have hoped for a better housewarming for Agribition’s new home in the International Trade Centre. The facility was the front door to the show this year and hosted a record number of international buyers,” says CWA CEO, Chris Lane. CWA continues to be a global marketplace for livestock buyers and producers. The 2017 show saw a 40% increase and record high in international buyers at 365 total buyers from 86 different countries. Total international guests numbered 1,250. “With strong numbers across the board, it shows that Agribition continues to grow and be a showcase of agricultural excellence. The records set this year set the stage for Agribition to be a true international hub of agriculture business, education and entertainment,” says Lane. Other exciting events that took place during the 2017 event include awarding the inaugural Celebrating Women in Agriculture Award to Belinda Wagner, and announcing renewed partnerships with the Federal and Provincial governments. The Honourable Lawrence McAulay, Minister of Agriculture for the Government of Canada, travelled to CWA from Ottawa to announce the details of the Canadian Agriculture Partnership (CAP). This is a five year, $3 billion federal, provincial, and territorial investment for Canada’s agriculture and agri-food sector. Honourable Lyle Stewart, Minister of Agriculture for the Government of Saskatchewan announced the Province will renew its partnership with CWA with a $200,000 four-year funding agreement. Canadian Western Agribition’s financial results will be released at the Annual General Meeting in April 2018. The Canadian Professional Rodeo Association (CPRA) and Canadian Western Agribition (CWA) have announced a new rodeo partnership and structure for the 2016 edition of Canada’s largest livestock exhibition and trade show. The formal announcement was made by the two organizations as they concluded an agreement that will see CWA partner with the CPRA to host the “Agribition Pro Rodeo” in 2016. The four performance rodeo will take place during Agribition, November 21 – 26 and is the first pro rodeo of its kind in Saskatchewan. The event will feature 16 top athletes from each of the seven major events who will be divided into two pools of eight competing in two performances each. “Inviting the best cowboys and cowgirls in Rodeo to Agribition offers visitors a new entertainment experience. It is Agribition’s first time using this model and we intend to raise the fan experience and deliver a world-class event just like everything else we do,” explained Bruce Holmquist, CWA Rodeo Chair. The roster will be based on the Pro Rodeo Canada standings at the end of the 2016 regular season and will be the inaugural event of the 2017 schedule. 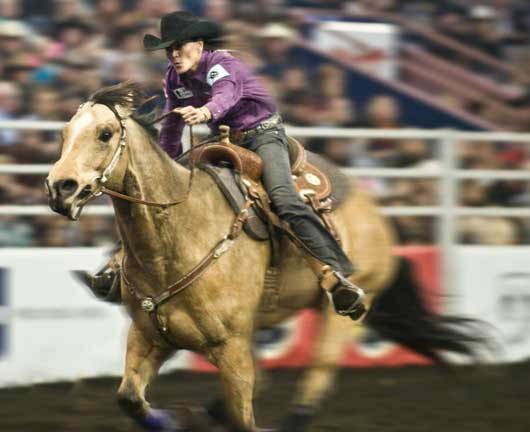 Top professional competitors from around the world will battle for $100,000 in prize money, giving rodeo fans in Saskatchewan high energy, action-packed rodeo to enjoy.